Scientists warn that insects could be facing “Armageddon” after a new study found that more than 75 percent of the insect population in Germany has declined in the last two decades. 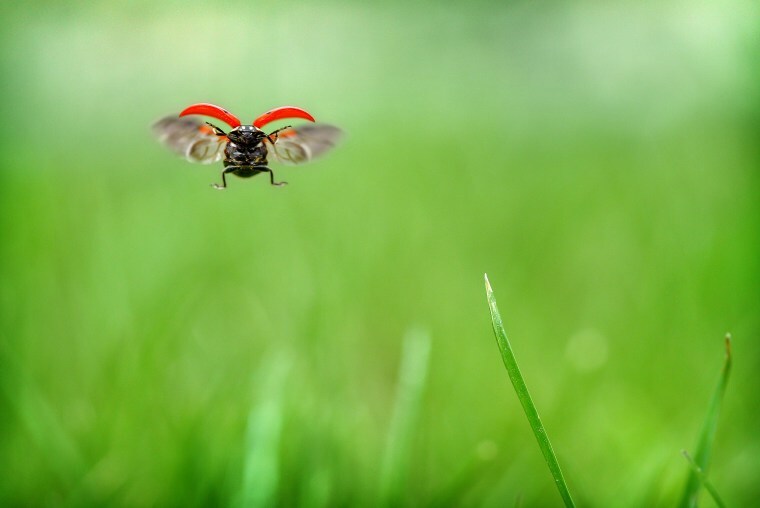 According to a study published in the journal PLOS ONE, the dramatic decrease in insects could have disastrous consequences for agriculture, as well as ecosystems as a whole. For the last 27 years, researchers and amateur entomologists have set traps on nature reserves across Germany and collected data on insect populations, searching for clues on why insects have been declining. The study concluded that multiple factors have contributed to the population decline, including climate change, pesticides, and agricultural practices. Golson stressed that each of these causes has one thing in common — they're man-made. Similar studies have been conducted to chart the decline in bumblebees in the United Kingdom and the monarch butterfly in the United States. But researchers say these findings are particularly noteworthy because the sharp population decline isn’t limited to a particular species. Goulson said he hopes the study's findings will serve as a wake up call and that changes will be implemented — and quickly — before it's too late. On Thursday, leading international scientists called for governments around the world to extend the protection of wildlife to include worms and beetles, which are vital to the ecosystem. In an interview with Reuters, Robert Watson, chair of the chair of the Intergovernmental Science-Policy Platform on Biodiversity and Ecosystem Services (IPBES), said biodiversity is "absolutely central to human well-being." A biology professor at Iowa State University, Pleasants has spent decades researching efforts to preserve the monarch population in the United States. His studies have shown that monarch butterflies have decreased by nearly 80 percent due to loss of habitat. Although butterflies don’t have the same agricultural utility as pollinators like bees, Pleasants said the value of preserving species and ecosystems goes beyond impacts to the food chain.